We hope we can assist with the tricky process of picking the perfect wedding stationery for your special day. We offer complimentary printed samples just so you can see our products in person. This has proven to be a great help for many couples-to-be. We have a range of stationery templates and collections available to keep things simple. Custom projects are more than welcome as well. 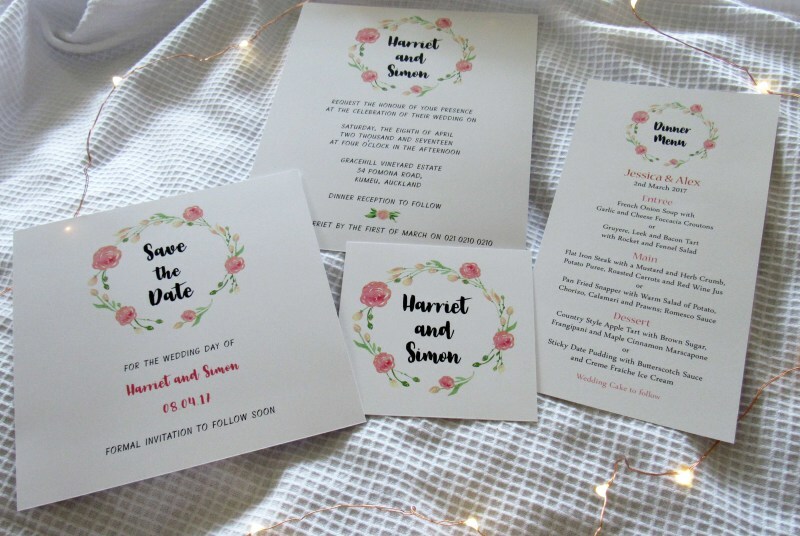 Our wedding stationery is hand crafted for that personal touch and the aim is to save time and minimise project costs. Hand foiled stationery is available in a range of colours. Wishing Well Cards, Menus, Name Cards, and Thank You Cards.